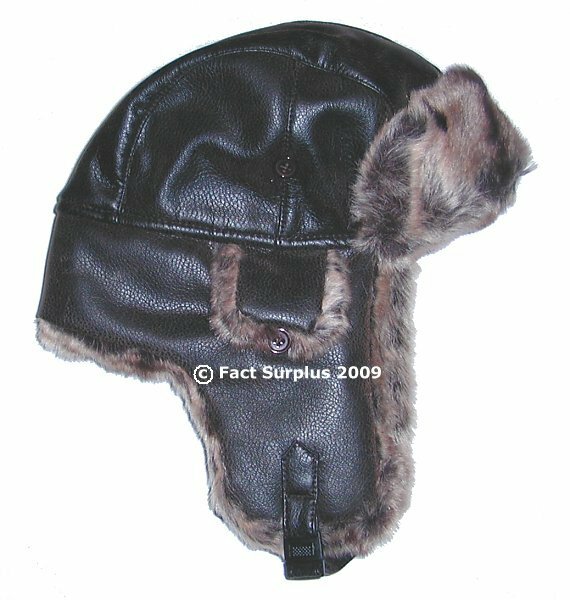 Aviator hat. 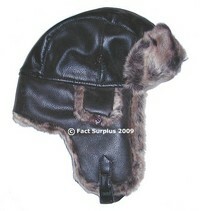 Brown faux leather outer trimmed with acrylic fur across front and around neck and ears. Quilted inner lining. Adjustable chin strap.